Nutrition and psychological care are vital for the comprehensive development of children, experts told a seminar in HCM City on Sunday attended by kindergarten teachers. 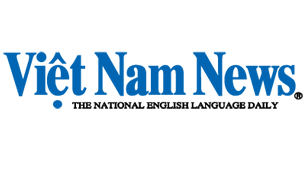 Nguyen Thi Thu Hau, head of the Paediatric Hospital 2's nutrition department, said children require nutrition to produce energy for their activities and for physical and mental growth and developing the immune system. A person's height is greatly dependent on nutrition and physical exercise, she said. 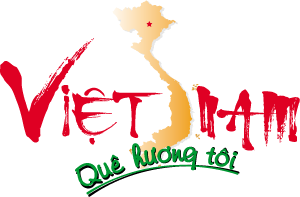 "Viet Nam is among the 20 countries with the highest rates of stunted growth because of malnutrition. The average height of a Vietnamese adult is 1.64 metres, much lower than that of Koreans (1.74 metre), Japanese (1.70 metre) and even Thais (1.69 metre)." A doctor examines a baby at the Paediatrics Hospital 2 in HCM City. Experts have called for better nutrition and psychological care, saying they are vital for children's development. For children, school meals play a very important by accounting for more than two-thirds of their daily nutrition, and so pre-school teachers should help children form sound eating and drinking habits, she said. This enables children to develop life skills like independence, confidence, discipline, lack of fear of new things, and willingness to study and work under pressure, she said. Milk is indispensable in school meals while the menu should be changed every day, she said. Teachers should pay attention to other factors in school meals such as safety, eating in combination with exercising, and diseases caused by contaminated food and drink like diarrhoea, respiratory problems, constipation, obesity, and anorexia to discover and treat them effectively and in time, she said. Viet Nam should learn from Japan about caring for children at schools, she added. Dr Hoang Vu Quynh Trang of the Paediatric Hospital 1's psychology department said understanding children's psychology is also very important to know their desires and help them develop their strengths. Pre-school teachers need to have the knowledge and skills to be able to understand children and their problems and to collaborate with parents and schools to help them achieve the best development, she said. A positive child-care model has three factors — parent (decisive), teacher (supporting), medical personnel (linking) – she said. Children should be fed various kinds of nutritious food rather than foods with many calories and without forcing them, she said, adding there is a need to create a happy atmosphere.